If you’re in Rhode Island and need to have your vehicle’s oil changed, there’s no choice better than Speedcraft Nissan, and we intend to keep it that way. Here at our dealership, we strive to provide you with a superior experience compared to our competitors. When your Nissan is in need of an oil change near Providence RI, we’re here for you with our top quality work and expert service team. Of course, we also serve customers throughout Rhode Island, including other cities like our own West Warwick. When it comes to your car’s maintenance, only the best will do. Stop by Speedcraft Nissan, where we provide a top quality oil change with the correct oil quickly, so you can get back on the road. Aside from our top-notch service, another part of what makes Speedcraft Nissan a great dealership to have your car’s service performed is that we’re always looking to get you the best deal on all of your services. To achieve that, we make sure to offer car services coupons frequently for interested customers. In order to get a great deal on whatever service you need, be sure to check back regularly for future deals and coupons designed to save you money. 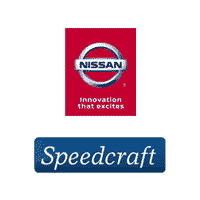 If you’re a first-time customer here at Speedcraft Nissan, you’ll learn that a lot of benefits come standard to our customers. Whenever you’re in need of car maintenance, be sure to check our site or contact us to learn more about the great deals available to you when you choose Speedcraft in the Providence, RI area.